One of the many enigmas confronting gradualist academics is Roman Egypt. The history of Graeco-Roman Egypt makes many Western academics dewy-eyed. Alexandria was founded around a small, ancient Egyptian town c. 332 BC by Alexander the Great. It became an important center of Hellenistic civilization and remained the capital of Ptolemaic (Greek) Egypt and Roman and Byzantine Egypt for almost 1000 years, until the Muslim conquest of Egypt in AD 641, when a new capital was founded at Fustat (later absorbed into Cairo). The specifics of Roman architecture in Egypt makes academics misty-minded. Most of the architectural forms know from the Roman world are also attested in Egypt. 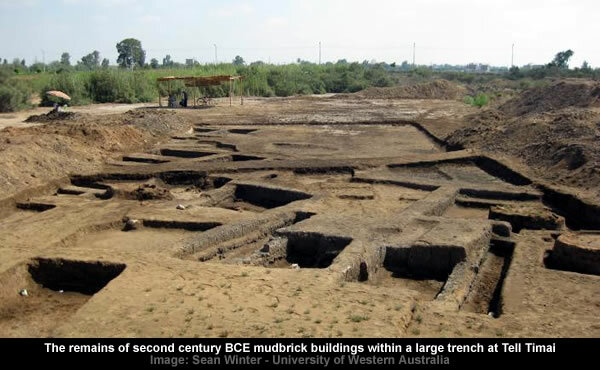 However, the number of recorded or excavated buildings is very small. The cognitive dissonance afflicting gradualist academics is caused by the burial of Graeco-Roman Egypt under “ancient mounds” in the Nile Delta [and under the waves in the Mediterranean Sea]. In the Delta, ancient mounds in the northern portion mark the sites of towns where a considerable population once flourished; the tombs of Roman date near Alexandria afford evidence that there has been a downward movement of the land here which will have interfered with the water-supply and water-logged the soil, thereby making the region uninhabitable until modern engineering skill has succeeded in reclaiming it from its present condition. Heracleion… located near the Canopic Mouth of the Nile… Its ruins are located in Abu Qir Bay, currently 2.5 km off the coast, under 10 m (30 ft) of water. The city sank in the 3rd or 2nd century AD, probably due to liquefaction of the silts on which it was built following earth tremors. A few residents stayed on during the Roman era and the beginning of Arab rule, but by the end of the eighth century AD what was left of the city had sunk beneath the sea. The problem is exacerbated by the ecclesiastical records identifying Egyptian bishoprics with unknown locations and undocumented [non-clerical] historical narratives. Gera(s) was an ancient city and former bishopric in Roman Egypt and remains a Latin Catholic titular see. Its modern location, now in Egypt, is unclear. Aphnaeum (or Aphnæum) was an ancient city and former bishopric in Egypt. Its location is believed to be near the ruins of modern Tell-Defenneh. However, on the bright side, the excavation of Graeco-Roman sites in Egypt is currently in fashion and the professionals are producing some intriguing results. One of the more intriguing narratives concerns the twin cities of Mendes and Thmuis. The first half of the narrative covers Mendes mysteriously disappearing in the first century AD. The ruin mound of Tel er-Rub’a in northern Egypt marks the site of the ancient city of Mendes, one of the largest cities in the ancient world. The sometime capital of ancient Egypt (fourth century B.C.E. ), Mendes was a major trading center in contact with the eastern Mediterranean, Greece, and Rome. The second half of the narrative covers Thmuis supplanting Mendes as the regional capital. Thmuis (Tell El-Timai‎) is a city in Lower Egypt, located on the canal east of the Nile, between its Tanitic and Mendesian branches. 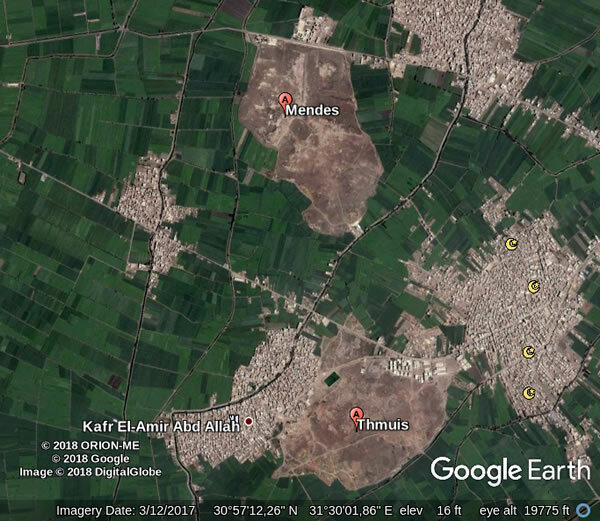 During the Ptolemaic period, Thmuis succeeded Djedet as the capital of Lower Egypt’s 16th nome of Kha (Herodotus (II, 166)). In the fourth century it was still an important Roman city, having its own administration and being exempt from the jurisdiction of the Prefect of Alexandria. 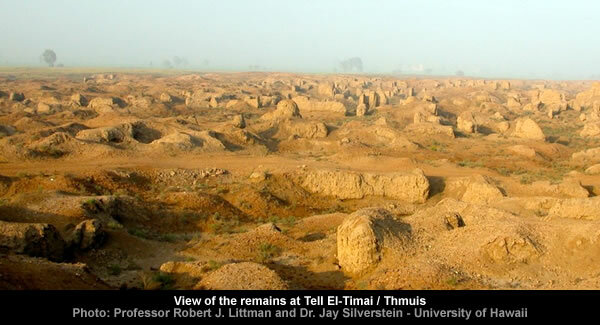 “Little excavation has been done in Tell El-Timai,” reports Littman, “but material of significance has been discovered that indicates the potential of the site. 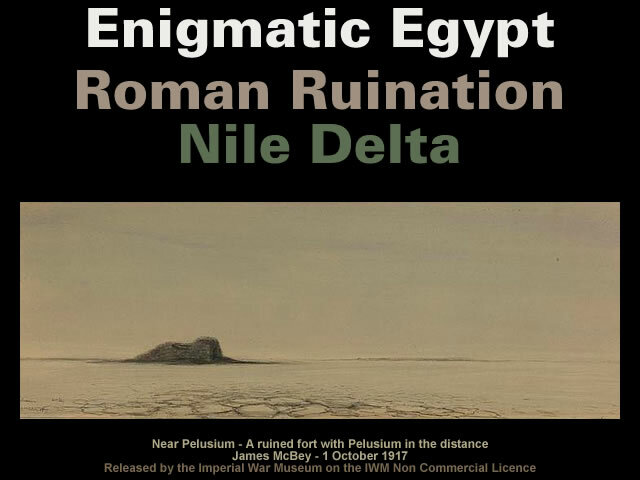 It is one of the few places in the Delta region where papyri have been found. At the end of the 19th century Edouard Naville discovered what he labeled as a library in a Roman house. Unfortunately, he did not indicate where on the Tell this was located. The papyri were burned, worse than those from Pompeii, according to Naville. He attempted unsuccessfully to preserve and transport the papyri. Unfortunately, only a few have survived, which are administrative records. A number of marble statues and small bronzes, and magnificent Hellenistic and Roman mosaic floors, now in the Egyptian Museum in Cairo, and the Graeco-Roman Museum in Alexandria, attest to the wealth and importance of the city. The intrigue in this twin cities narrative is generated by the discovery of a “major destruction event” in the 1st century BC whilst excavating Thmuis. 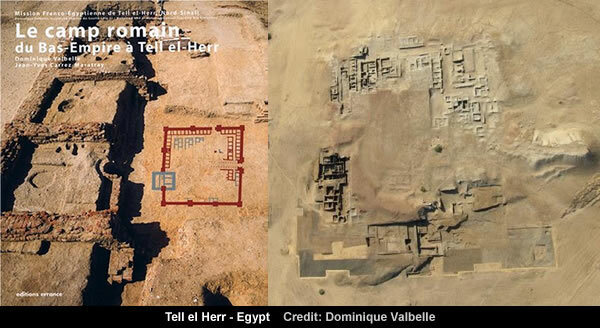 This lecture will discuss ongoing archaeological field work at Tell Timai, the location of the ancient Greco-Roman city of Thmouis, one of Alexander the Great’s administrative centres in the Nile Delta. This discovery raises the possibility that the transition from the Ptolemaic Period to the Roman Period in Egypt was facilitated by a “major destruction event”. Furthermore, it appears this “major destruction event” caused a “long interruption” in the settlement history of the Nile Delta. These dates should be examined bearing in mind the question of the continuity of settlement at Kom al-Ahmer, where the finds indicate a long interruption spanning the entire first century BC and a substantial part of the first century AD until the end of Caligula’s reign. 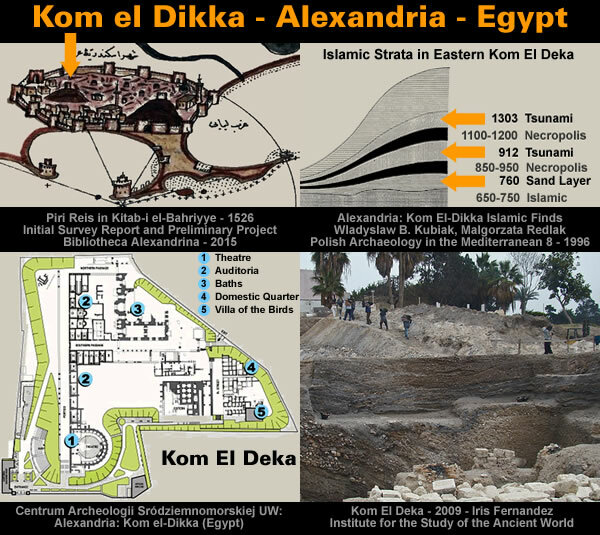 The excavations at Kom el-Dikka [Alexandria] clearly suggest a “major destruction event” could have occurred in the 1st century BC. While the coins found in the “early Roman layers” at Kom el-Dikka suggest the “long interruption” was finally broken around the time of Trajan [98 to 117 AD]. A total of 116 bronze coins was found in a layer of ashes and debris associated with the functioning of the late Roman baths in area F of the Kom el-Dikka site. This layer constituted fill covering kilns used to produce lime for the construction of the baths. The kilns were located on top of residential ruins, the destruction of which has been dated to the end of the 3rd century AD. Identifiable specimens comprised issues of emperors from the Second Tetrarchy period, the Constantine dynasty, Arcadius and the 6th and 7th century, corresponding well with the known dating of the bath complex. Among the coins were 33 tetradrachms struck between the reign of Philip the Arab and Diocletian, in the latter case before the monetary reform of AD 297. The chronological structure of this set is typical of hoards from the middle of the last decade of the 3rd century AD. Bulk of the pottery uncovered in the same context as the tetradrachms dates back to 4th and even 5th century, which suggests that the hoard was displaced somehow from its original 3rd century location. it is likely that fill from the early Roman houses was used for filling up and levelling the construction site. The hoarded coins may have been moved together with the earth and consequently became dispersed over a small area of a few area in their secondary deposition context. Coin finds from the early Roman layers included a drachma of Septimius Severus from the fill of the ruins of an early Roman house and coins of Trajan and Hadrian from its occupational levels. Overall, the evidence suggests the Nile Delta experienced four significant destruction events between the 1st century BC and the 14th century AD and from a revisionist perspective it’s likely the 1st century BC “major destruction event” represents the Arabian Horizon. Either way, the settlements in [and around] the Nile Delta paid a very heavy price. 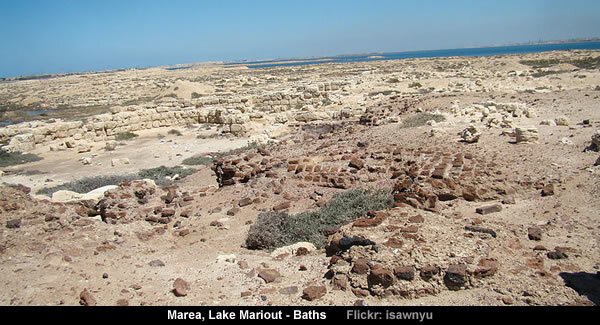 Lake Mariout, also spelled Maryut or Mariut, is a brackish lake in northern Egypt. The name derives from Mareotis or Marea, the name of the lake in ancient times. There was a bishopric of Mareotes, in the Roman province of Aegyptus Primus, which was a suffragan of the Metropolitan Archbishop of the Patriarchate of Alexandria, but it faded like most in Roman Egypt, plausibly at the advent of Islam. 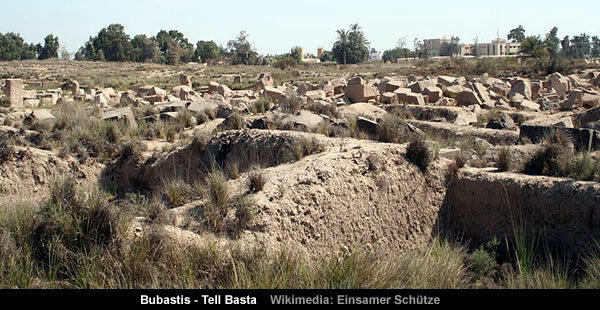 Bubastis, also known in Arabic as Tell-Basta or in Egyptian as Per-Bast, was an Ancient Egyptian city. Bubastis is often identified with the biblical Pi-Beseth. 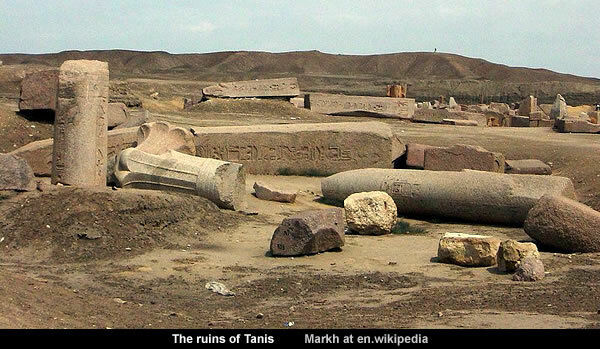 After Bubastis was taken by the Persians, its walls were dismantled. From this period it gradually declined, although it appears in ecclesiastical annals among the episcopal sees of the province Augustamnica Secunda. Bubastite coins of the age of Hadrian exist. A nome was a territorial division in ancient Egypt. Some nomes were added or renamed during the Graeco-Roman occupation of Egypt. For example, the Ptolemies renamed the Crocodilopolitan nome to Arsinoe. Hadrian created a new nome, Antinoopolites, for which Antinoopolis was the capital. 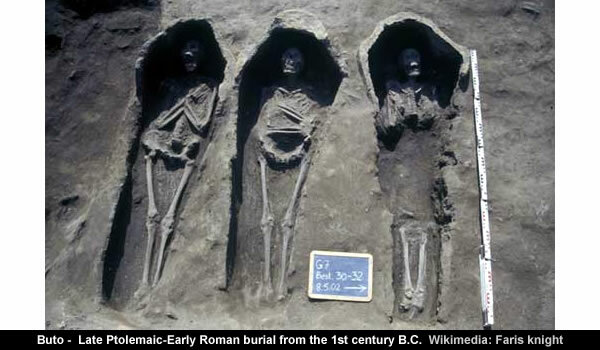 The nomes survived into Roman times. Under Roman rule, individual nomes minted their own coinage, the so-called “nome coins,” which still reflect individual local associations and traditions. The nomes of Egypt retained their primary importance as administrative units until the fundamental rearrangement of the bureaucracy during the reigns of Diocletian and Constantine. Pithom also called Per-Atum or Heroöpolis or Heroonopolis was an ancient city of Egypt. Multiple references in ancient Greek, Roman, and Hebrew Bible sources exist for this city, but its exact location remains somewhat uncertain. 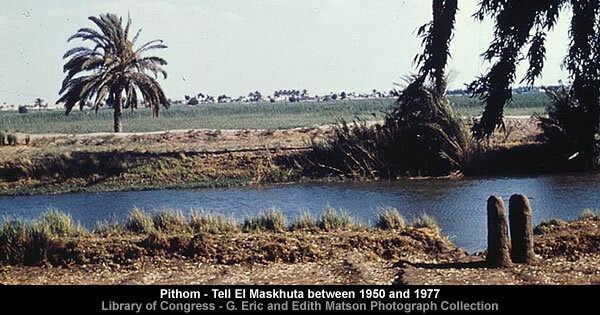 A number of scholars identified it as the modern archaeological site of Tell El Maskhuta. Others say that the site is identified with Tell El Retabeh, while the 10th century Jewish scholar, Saadia Gaon, identified the place in his Judeo-Arabic translation of the Pentateuch as Faiyum, 100 kilometres (62 miles) southwest of Cairo. Naucratis or Naukratis was a city of Ancient Egypt, on the Canopic branch of the Nile river, and 45 mi (72 km) southeast of the open sea and Alexandria. Naucratis later became an important center of Greek culture under the Roman Empire, producing several celebrated orators of the Second Sophistic in the second and early third centuries AD. When Petrie reached Naukratis at nightfall on 1 December 1884 the sight that confronted him was a large settlement mound, or Tell, covering an area of 950x580m, surrounded by a number of small villages on all sides (Drower 1985, 87–8). The mound itself – or rather series of mounds – was already much cut about by sebbakhin. About one third of the mound had already been dug away, especially in the middle, where a crater had been dug down to the bottom of the ancient site. The area was ‘heaped over with the broken pottery, which has been found and cast aside by the Arabs in their removal of about thirty feet of earth, the heaps [of sherds] being from a few inches to five or six feet in depth’ (Petrie 1886a, 9). Buto or Butosus, now Tell El Fara’in (“Hill of the Pharaohs”) and the village of Ibtu or Abtu near the city of Desouk, was an ancient city located 95 km east of Alexandria in the Nile Delta of Egypt. The Diocese of Buto is a former Christian diocese and titular see of both the Roman Catholic and Coptic Orthodox Churches, with see in the Ancient City of Buto in the Nile Delta of Egypt. During the Roman and Byzantine era it became the seat of an early Christian bishopric. During the Roman and Byzantine era there was a Bishopric based in the town of Buto, which was important enough in the Roman province of Aegyptus Primus to become one of the suffragans of its capital’s Metropolitan, the Patriarchate of Alexandria. Tanis is a city in the north-eastern Nile Delta of Egypt. It is located on the Tanitic branch of the Nile which has long since silted up. In later times Tanis lost its status of royal residence, yet it remained populated until its abandonment in Roman times. 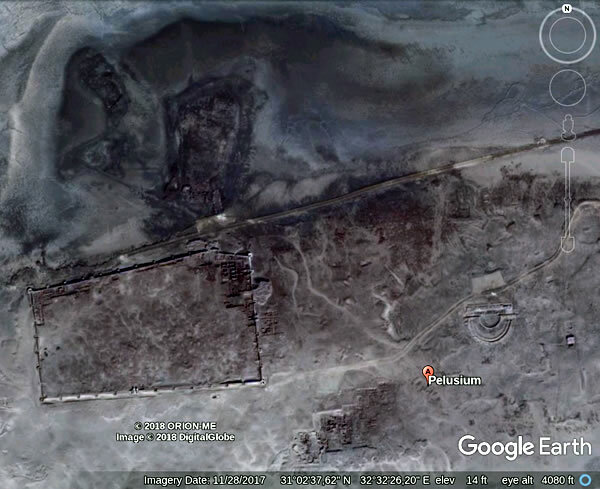 Pelusium… in the eastern extremes of Egypt’s Nile Delta.. a Roman provincial capital and Metropolitan archbishopric, remaining a multiple Catholic titular see. 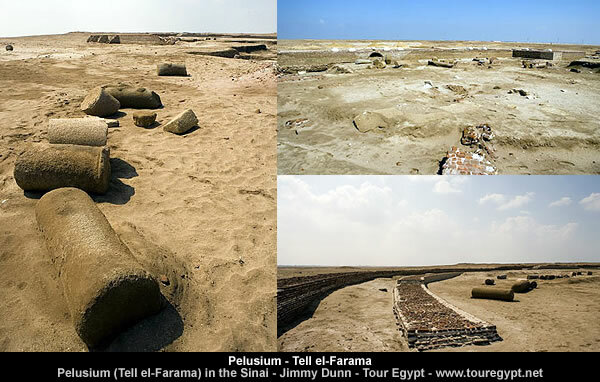 Pelusium lay between the seaboard and the marshes of the Nile delta, about two and a half miles from the sea. The port was choked by sand as early as the first century BC, and the coastline has now advanced far beyond its ancient limits, so that the city, even in the third century AD, was at least four miles from the Mediterranean. However, during peaceful times, it was also an important trading post, and during the Graeco-Roman era, it became one of Egypt’s busiest ports, second only to Alexandria. In 619 Pelusium was attacked and conquered by a Persian army under Khuzran, and in 640 it fell into the hands of Amr Ibn al-As, an Arab soldier who had fought with Muhammed in the conquest of Palestine and, in 642. He became the first Muslim governor of Egypt. Tell el Herr. 30 years of a Franco-Egyptian Mission in Sinai (1985-2016) is the title that will be given by Professor Dominique Valbelle, William K. Simpson and Marilyn M. Simpson Professor in Egyptology. 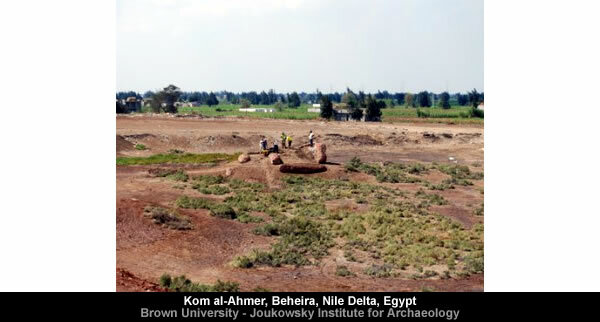 The Franco-Egyptian Archaeological Mission in Tell el Herr has been able to take place in the field for 25 years, since the restitution of Sinai to Egypt until the Arab Spring.That excavation has revealed an essential episode of the history of the Egyptian north-oriental border between the 5th century B.C. and the 6th century A.D.
From the top of the tell to the sand of the natural ground many levels have been revealed: a camp of the Late Roman Empire, some structures of the Early Roman Empire and of the Ptolemaic period, and two successive Persian fortresses presenting many architectural particularities, such as a palace built for the governor of the fortress at the turn of the 4th century. Gallery | This entry was posted in Arabian Horizon, Catastrophism, Enigmatic Egypt, Geology, Heinsohn Horizon, History, Old Japanese Cedar Tree. Bookmark the permalink.